Nixie has whelped a total of 27 puppies for our "B", "C", "E" ,"G" and "M" litters. 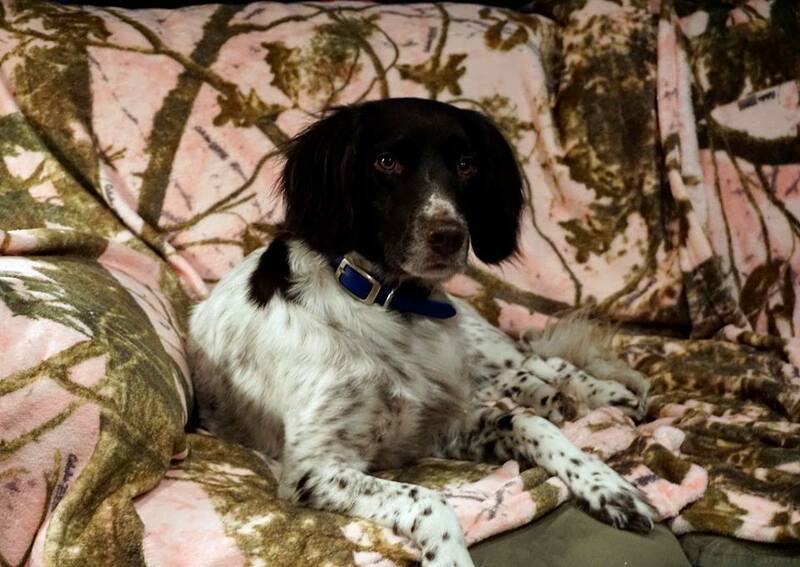 Nixie Rae is our oldest female and the first female we have ever owned. 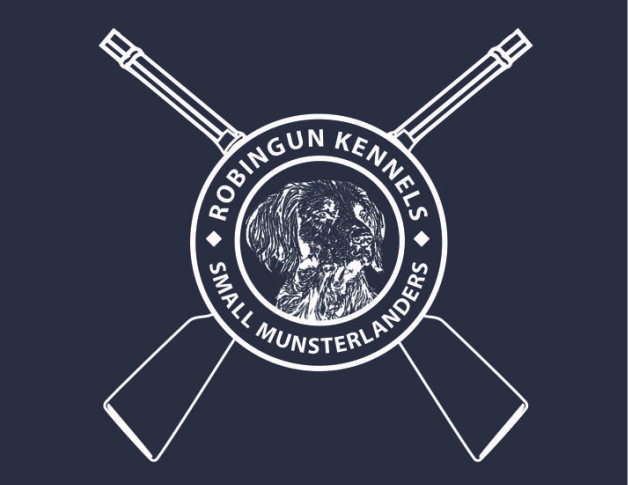 She is a high energy and intense dog that loves to work and she will hunt all day with enthusiasm. 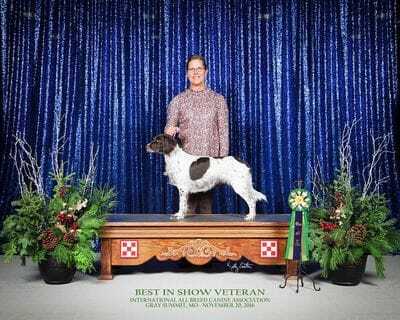 Nixie has the tightest PennHip score of the breed in the United States with a 0.17 for both hips. She is smaller in size with excellent conformation. 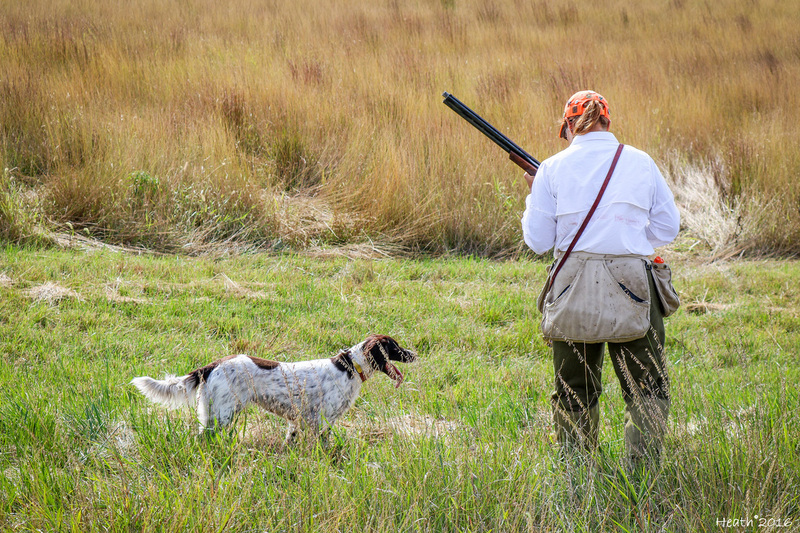 She has a very intense point and a broad search in the field. 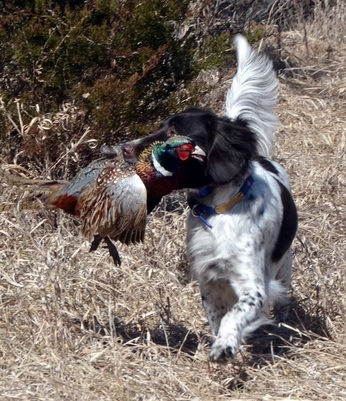 She loves to retrieve and she always finds the wounded birds often amazing us on the retrieves she completes. Nixie has a very happy personality and she loves to hunt/train as well as play Frisbee in the yard with Mario and our neighbor boys. The feedback we have gotten about the puppies she has produced is excellent and all of her puppies tested have passed the NAVHDA NA test. 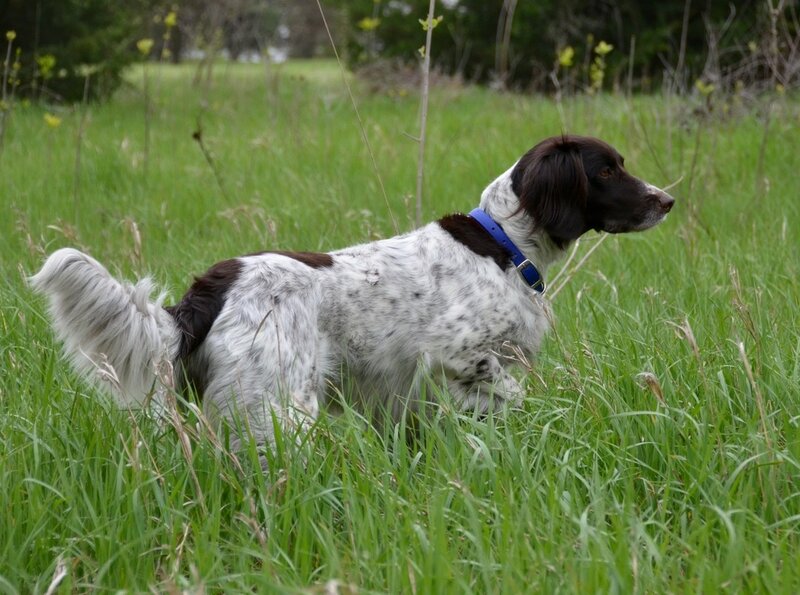 Six dogs Nixie has produced are approved for breeding by the SMCNA. Her daughter, Branka, from her first litter is one of the best dogs we have ever owned and her granddaughter, Tevah, has already amazed us in the field. We also own Nixie's great-granddaughter, Lyssa, who lives with a friend of ours. Nixie's dam, VC Looses Jaika, is a Danish import and her sire, Jerry vom Buchenberg (Zip) was imported from Germany by Tom McDonald. Both Jaika and Zip have qualified for the SMCNA Hall of Fame. 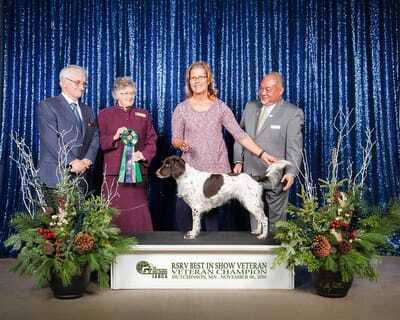 Nixie scored a 112 Prize I in her NAVHDA Natural Ability Test at the age of 6 months and she scored a 201 Prize I in the NAVHDA Utility Test to qualify her for the 2016 Invitational in Iowa and the 2017 Invitational in Ohio. 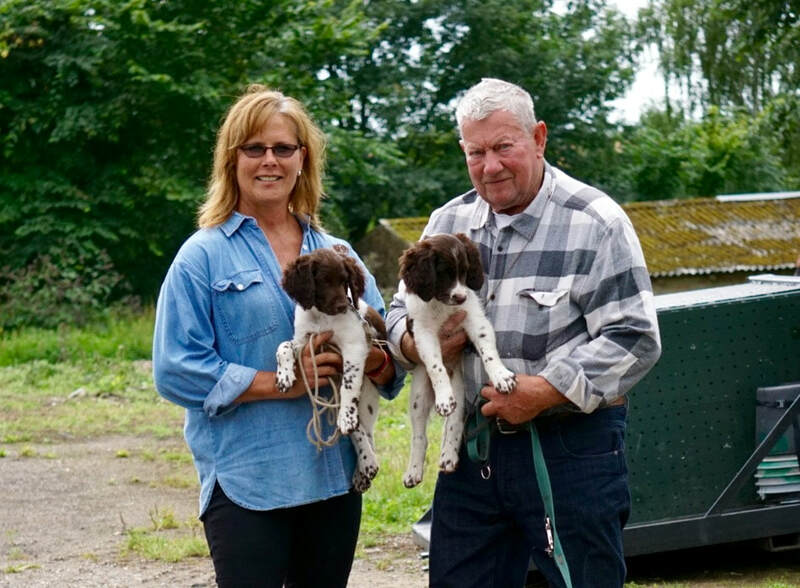 Four of the "C" litter pups she produced earned a perfect score of 112 Prize I in their Natural Ability Test earning Nixie a NAVHDA & SMCNA Breeder's Award. 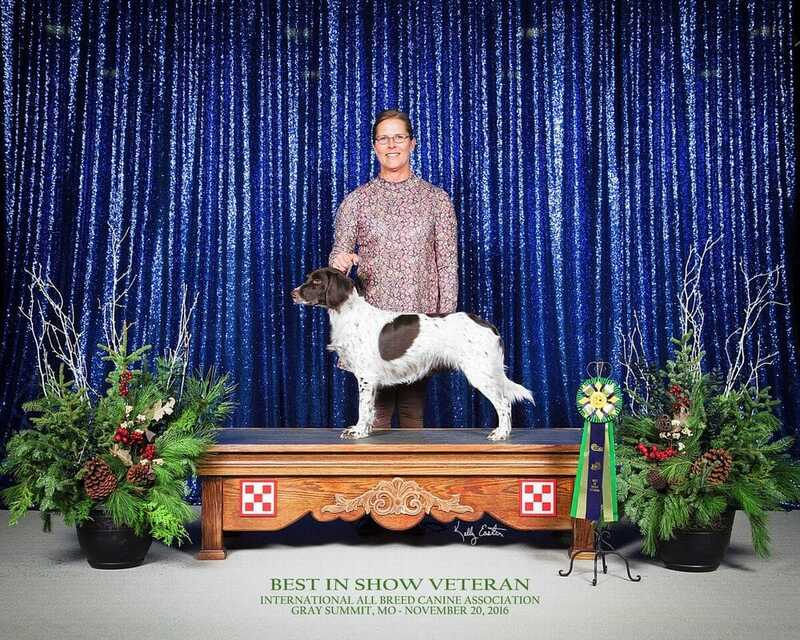 Six of her "E" Litter pups Prized in the NA Test before they were 11 months old earning Nixie her second NAVHDA & SMCNA Breeder's Award. Left to Right: Nixie Rae, her daughter - Branka, her grand daughter - Tevah, her dam - VC Looses' Jaika and her sire, Jerry vom Buchenberg in May of 2017. 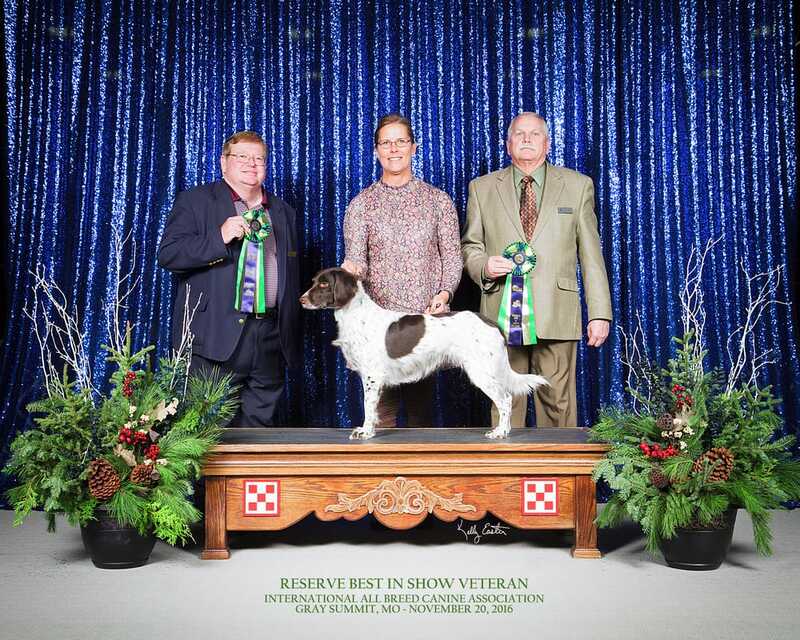 Nixie Rae has won numerous conformation titles as an adult dog. She has been evaluated by several International judges at UKC and IABCA shows and her conformation is ranked as a V1 which is the highest rating possible. 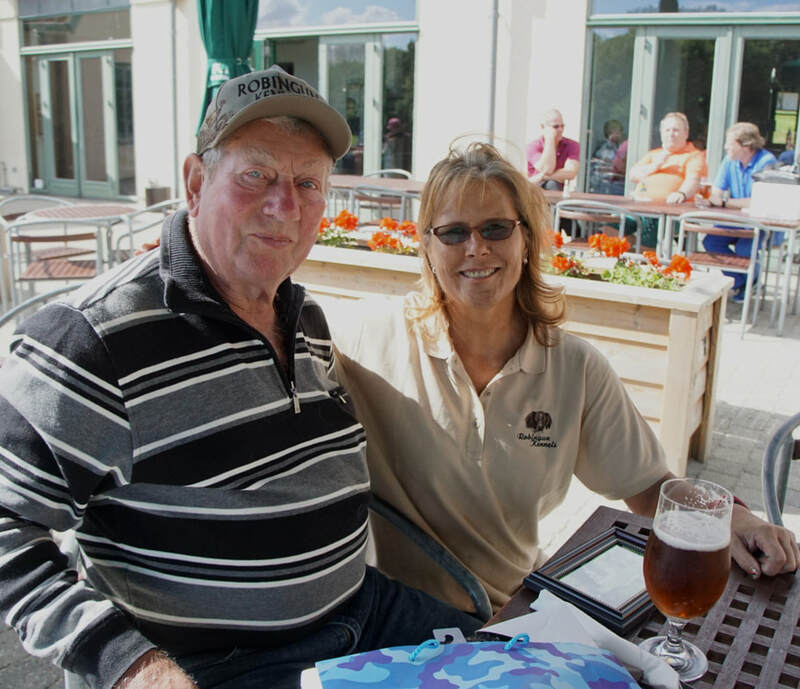 Pam with Hans Loose, breeder of Nixie's dam, VC Looses Jaika when she visited Denmark to pick up Vito. Hans owns a littermate of Vito's. Nixie Rae earned a score of 179 but she did not pass the Invitational due to earning a score of 2 in backing and field steadiness. 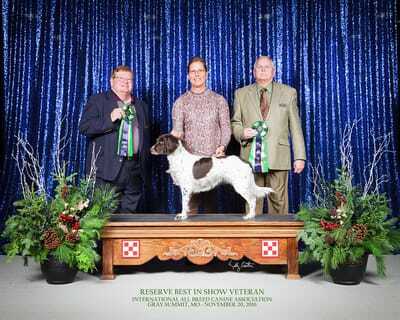 In October of 2016 Nixie Rae earned another 201 Prize I in the Utility Test so we will run her in the 2017 Invitational that will be held in Ohio. 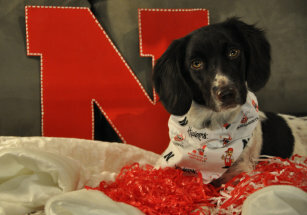 A BIG thank you to Shari Stueck, Terry Krueger, Stuart McNally, Kara Nelson, Kris Hill and the Heartland Chapter for your help with Nixie's training for the 2016 Invitational. Thank you to Mark Whitaker for taking photos for me at the Invitational. Hunting, Testing and Training Photos are below.